A video shows an encounter between a Navy F/A-18 Super Hornet and an unknown object. It was released by the Defense Department's Advanced Aerospace Threat Identification Program. By Courtesy of U.S. DEPARTMENT OF DEFENSE on Publish Date December 16, 2017. 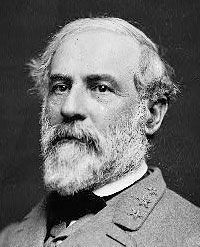 Photo by Courtesy of U.S. Department of Defense. WASHINGTON â€” In the $600 billion annual Defense Department budgets, the $22 million spent on the Advanced Aerospace Threat Identification Program was almost impossible to find. For years, the program investigated reports of unidentified flying objects, according to Defense Department officials, interviews with program participants and records obtained by The New York Times. It was run by a military intelligence official, Luis Elizondo, on the fifth floor of the Pentagonâ€™s C Ring, deep within the buildingâ€™s maze. The Defense Department has never before acknowledged the existence of the program, which it says it shut down in 2012. But its backers say that, while the Pentagon ended funding for the effort at that time, the program remains in existence. For the past five years, they say, officials with the program have continued to investigate episodes brought to them by service members, while also carrying out their other Defense Department duties. The shadowy program â€” parts of it remain classified â€” began in 2007, and initially it was largely funded at the request of Harry Reid, the Nevada Democrat who was the Senate majority leader at the time and who has long had an interest in space phenomena. Most of the money went to an aerospace research company run by a billionaire entrepreneur and longtime friend of Mr. Reidâ€™s, Robert Bigelow, who is currently working with NASA to produce expandable craft for humans to use in space. On CBSâ€™s â€œ60 Minutesâ€� in May, Mr. Bigelow said he was â€œabsolutely convincedâ€� that aliens exist and that U.F.O.s have visited Earth. 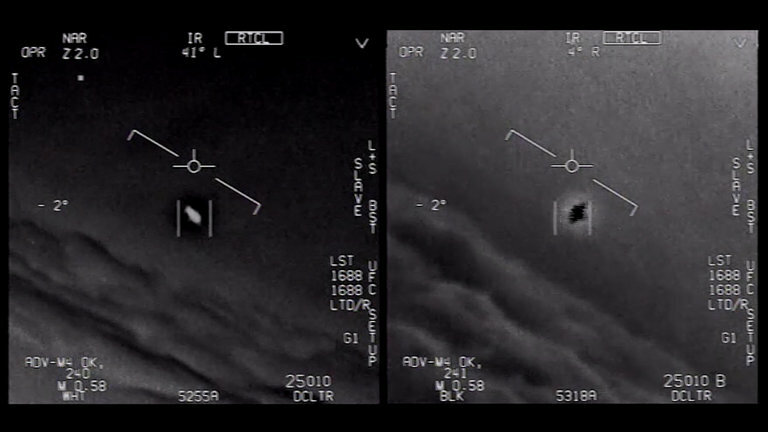 Officials with the program have also studied videos of encounters between unknown objects and American military aircraft â€” including one released in August of a whitish oval object, about the size of a commercial plane, chased by two Navy F/A-18F fighter jets from the aircraft carrier Nimitz off the coast of San Diego in 2004. Two other former senators and top members of a defense spending subcommittee â€” Ted Stevens, an Alaska Republican, and Daniel K. Inouye, a Hawaii Democrat â€” also supported the program. Mr. Stevens died in 2010, and Mr. Inouye in 2012.
â€œI had talked to John Glenn a number of years before,â€� Mr. Reid said, referring to the astronaut and former senator from Ohio, who died in 2016. Mr. Glenn, Mr. Reid said, had told him he thought that the federal government should be looking seriously into U.F.O.s, and should be talking to military service members, particularly pilots, who had reported seeing aircraft they could not identify or explain. The program collected video and audio recordings of reported U.F.O. incidents, including footage from a Navy F/A-18 Super Hornet showing an aircraft surrounded by some kind of glowing aura traveling at high speed and rotating as it moves. The Navy pilots can be heard trying to understand what they are seeing. â€œThereâ€™s a whole fleet of them,â€� one exclaims. Defense officials declined to release the location and date of the incident. By 2009, Mr. Reid decided that the program had made such extraordinary discoveries that he argued for heightened security to protect it. â€œMuch progress has been made with the identification of several highly sensitive, unconventional aerospace-related findings,â€� Mr. Reid said in a letter to William Lynn III, a deputy defense secretary at the time, requesting that it be designated a â€œrestricted special access programâ€� limited to a few listed officials. In the interview, Mr. Elizondo said he and his government colleagues had determined that the phenomena they had studied did not seem to originate from any country. â€œThat fact is not something any government or institution should classify in order to keep secret from the people,â€� he said. Our readers are plenty interested in unidentified flying objects. We know that from the huge response to our front-page Sunday article (published online just after noon on Saturday) revealing a secret Pentagon program to investigate U.F.O.s. The piece, by the Pentagon correspondent Helene Cooper, the author Leslie Kean and myself â€” a contributor to The Times after a 45-year staff career â€” has dominated the most emailed and most viewed lists since. So how does a story on U.F.O.s get into The New York Times? Not easily, and only after a great deal of vetting, I assure you. When astronomers using the Pan-STARRS1 telescope in Hawaii spotted a mysterious object dashing through our solar system on Oct. 19, they immediately knew it was something special. Traveling at high speed and originating from interstellar space, this object was originally thought to be an ancient comet, but observations revealed it was, in fact, an asteroid from another star system. "This history-making discovery is opening a new window to study formation of solar systems beyond our own," he added. Lecturer and researcher of ancient civilizations, David Wilcock, who is well known for his insights on consciousness science and new paradigms of matter and energy joined Jimmy Church (email) in the first half. He looked at what's coming in 2018 and how the Deep State is beginning to reveal the reality of UFOs. Wilcock also contends that Earth is on the front lines of a battle that has been raging between positive and negative ETs for hundreds of thousands of years. He began with a reaction to the recent U.S. Government UFO revelations by stating that he had been "waiting for this my entire life." He believes that the public reaction was not explosive because people have "been lied to for so long" by the powers that be that they don't believe much of anything at this point. Wilcock spoke at length about some of his military contacts, and in particular one named Emery Smith, who claims he worked at a secure laboratory and that in his work there has completed over 3000 autopsies on extraterrestrial cadavers, all different from one another. Smith also told Wilcock about amazing technology he used at the lab, including a "piece of clear material" that reads vast amounts of data from small gold disks. Wilcock also spoke about the recent story of the 'Oumuamua object that transited through the solar system, and related that the cylindrical object was actually the "two billion year-old" wreckage of a spacecraft complete with computers and other technology intact, as well as "three beings inside in some kind of stasis field." He believes that an alien race timed the appearance to coincide with other recent UFO revelations. Author David Icke, who has been warning for nearly 30 years of a coming global Orwellian state, joined the program in the second half. Icke has said that 'physical' reality is an illusion and what we think is the 'world' is a holographic simulation or 'Matrix' created by a non-human force to entrap human perception in ongoing servitude. Even mainstream scientists are concluding that reality may indeed be a simulation, and Icke explained that all of our perceived experience is occurring in our minds as "decoded information that occurs in the brain." He contends that a wholesale hijacking of how humans perceive reality has been accelerating for many years, and is continuing with the push to merge human minds with computers and AI. He also addressed the recent government revelations as "a good thing" because it causes people to question other issues. Icke believes that "the veil is lifting, and people are beginning to speak out as they haven't before." He also cautioned, however, that warnings of an alien or UFO invasion could simply be an excuse for centralization of power on a global scale. Icke also warned about the ubiquitous nature of personal tech, which he said is turning most people into "computer terminals" and cautioned that the movement towards "political correctness" is "destroying human discourse." Icke concluded that "we have been manipulated to the point where we could build our own prison" but that we are not smart enough yet to know that we are doing it. The existence of unidentified flying objects using technology more advanced than human capabilities has been proved â€œbeyond reasonable doubtâ€�, the former head of a secret US government programme has said. Luis Elizondo, who quit as head of the Advanced Threat Identification Programme (AATIP) two months ago, warned nations now â€œhad to be consciousâ€� of the potential threat posed by UFOs. The unit, which the Department of Defence (DoD) insisted was terminated in 2012, produced documents that described sightings of aircraft travelling at extremely high speeds with no visible signs of propulsion. â€œIn my opinion, if this was a court of law, we have reached the point of â€˜beyond reasonable doubtâ€™. I hate to use the term UFO, but thatâ€™s what weâ€™re looking at,â€� Mr Elizondo told The Telegraph. Mr Elizondo told the newspaper there were geographical â€œhot spotsâ€� â€“ sometimes around nuclear facilities and power plants â€“ which emerged during AATIPâ€™s investigations, as well as common factors between UFO sightings. He said: â€œIt was enough where we began to see trends and similarities in incidents. There were very distinct observables. Extreme manoeuvrability, hypersonic velocity without a sonic boom, speeds of 7,000mph to 8,000mph, no flight surfaces on the objects. A lot of this is backed with radar signal data, gun camera footage from aircraft, multiple witnesses. Good question. They have been awfully quiet lately. So, try this angle, and if it doesn't have the desired results of humanity's enslavement, then blow up the planet with nuclear war? At the same time, they smoke screen a lot for what we should really be looking for. They don't get it yet that the UFO & aliens situation are pretty well proven and old hat. So now what, a big emotional moment? Shoot Them Down " The Flying Saucer Air Wars of 1952"
So that's potentially 3000 different alien species who've been visiting us and there's still no evidence that it's happening, beyond conjecture that some UFO sightings may be the cause of aliens travelling vast distances from another star system (only to end up in a lab, apparently). Creatures, by the way, whose existence we have no proof of to start with. The second claim is also very Richard Hoaglandian. Every large asteroid with a remotely interesting feature is an ancient alien spaceship etc. As a sci-fi fan, I used to love listening to C2C for its pure entertainment value. I do think it's worth keeping the concept of Blue Beam alive though. At least for newbies who'll be hearing about the idea for the first time. Particularly after all the conditioning they'll have gone through via the media etc. (intentional or not). It could be that the guy, Wilcox I quote above is part of a psyop. Or maybe his source is. Or maybe the source was working on genetically engineered creatures and was simply told they were something else so he'd look like a nut if he blabbed about it. If I had to go with one of those options, I'd say the one not involving aliens was a million times more plausible (though still completely bizarre). Traditional highlights, UFO`s mass illusions, humans are the one and only creation, no other life exists in the universe, Germans have advanced tech considered UFO`s, project blue beam, and on and on. I don`t limit human beings as to be the one and only intelligent lifeform in this universe, I'm not creeping out, just being realistic. Human nature historically dictates anything out of the society's norm is impossible, whatever is different is to be exterminated or a falsehood. I have spoken with witnesses, one of many being my cousin, a cop in Massachusetts saw a UFO, his patrol car shut down, he simply remained still and observed. OK, was it the Germans, Blue beamers, swamp gas, or is my cousin a nutter, admittedly he didn`t report this, he was afraid of losing his job and being labeled a freakster. *Just saying one of many sightings. For thousands of years these objects have been reported, historical advanced tech anomalies are shunned by our scientific community under the guize ( the people can`t handle it), in no way do I dismiss we humans are the only lifeform in this endless universe, to do so despite the controversy I would betray my common sense and my layman's passion of digging into historical finds that defy standard ancient archeological levels. In his house are many mansions. Manhattan has gone from Studio 54 to Area 51, leading the five boroughs in sightings of unidentified flying objects over the last two years, data from the National UFO Reporting Center reveals. Otherworldly tourists have included travelers in a â€œround orange orb,â€� a crew in a â€œcigar-shapedâ€� craft and even â€œan unknown creatureâ€� that rudely â€œteleportedâ€� into one New Yorkerâ€™s back yard, according to reports made to the Washington-based group. In all, there have been 27 spacey sightings in Manhattan since 2016, with Brooklynites close behind, reporting 24 strange objects â€” from a â€œvery bright, round-shaped light in the skyâ€� to a â€œfireballâ€� of lights. â€œGood photos, reliable photosâ€� of UFOs are â€œscarceâ€� because people have just seconds to capture â€œobjects capable of moving at tremendous speeds,â€� he explained. The group says it has catalogued more than 128,000 mysterious sightings worldwide since 1974, with most in the United States â€” 13,033 â€” originating in California. New York has collected just 4,500 in that time. UFO experts believe glowing objects spotted in the sky above France, China and Australia could be a huge spaceship. Footage recorded in France, possibly near Paris, shows bright lights in the sky and a "cigar shaped" flashing object. In the intriguing footage, he said a very similar UFO had been spotted years before. A reported UFO sighting back in 2010 over an airport in China, prompted it to temporarily shut down. A previous ABC news report claimed the strange sighting caused the Xiaoshan Airport to "stop operations" on July 7 that year. But what the object was remained a mystery. He also claims a similar UFO sighting was captured over the Gold Coast, Australia. An exceptional nine-minute Navy video of a UFO displaying highly unusual behavior, studied by Chilean authorities for the last two years, is now being released to the public. The CEFAA - the Chilean government agency which investigates UFOs, or UAP (unidentified aerial phenomena), has been in charge of the investigation. Located within the DGAC, the equivalent of our FAA but under the jurisdiction of the Chilean Air Force, CEFAA has committees of military experts, technicians and academics from many disciplines. None of them have been able to explain the strange flying object captured by two experienced Navy officers from a helicopter. No agreement could be reached to explain the video - theories that were proposed were ruled out by the data. The CEFAA has been a world leader in official and open investigations of UFOs. Fravor has been in the news recently after the New York Times broke the story that the Pentagon had a secret program that investigated reports of UFOs. The Defense Department says it closed down the Advanced Aerospace Threat Identification Program in 2012 after five years, but the programâ€™s backers say it remains in existence, investigating UFO reports from service members while carrying out other duties. â€œI know what I saw,â€� said Fravor. The incident occurred on Nov. 14, 2004. It was about 140 miles southwest of San Diego, Fravor said. The commander of a squadron of more than 300 service members aboard the carrier USS Nimitz, he was flying a brand-new plane with a weapons systems officer in the back seat. Another fighter from his squadron, with pilot and weapons system officer aboard, was flying with him. It was a perfect Southern California day. The sea was calm, without whitecaps. No clouds marred the sky. Nearing the end of a 24-year career in the Navy and Marines, Fravor had plenty of experience encountering other aircraft in the sky, but this one was different, he said. It was bright white, cylindrical, with rounded ends. It had no wings, no windows, no exhaust plume. And then there was that speed. â€œIt was impressive. It was fast. It was maneuverable, and Iâ€™d really like to fly it,â€� Fravor said he told the executive officer on the Nimitz afterwards. In addition to the Princeton tracking the objects, Fravor said, the Nimitz and an E-2 surveillance plane in the area could also see the objects on their radars. Was there an intelligence controlling the object? â€œI figured someone would come out,â€� he said. After all, theyâ€™d been tracking the objects for two weeks and surely a debriefing would be in order. But no one ever did. Fravor said if a foreign submarine had surfaced behind a carrier in the area, dire alarms would have been raised and questions would have been asked about how it had penetrated the Navyâ€™s defense. â€œAnd yet now you have many of these objects, like a dozen of them, that are just, at will, just showing up, doing whatever they want, and going away and you can do nothing about it. And no one asks any questions,â€� he said. Flying objects of unknown origins. Does that sound better than UFO? I maintain the belief there are more mysteries, of the unknown, the unrevealed, here on earth that could change the concepts/dictated historical fantasy`s, our scientific community has chosen to withhold from the public. *Keep the people (peons) in their place. It wasn`t but a few century's past the greater percent of the world population believed the world was flat, that sea travelers would fall off the edge of the forbidden zone. Off topic a tad just to make a point, Nicola Telsa developed hundreds of patents, one being free electrical energy, JP Morgan wouldn`t hear of it, stating~if you can`t put a meter on it we don`t want it~In general, does the average citizen know this was fact? Sorry to rant, all I`m driving at is the GP has been kept in the closet being fed dung on a par with mushrooms, exactly how they want us to be. Apollo 11 astronaut Buzz Aldrin has reportedly passed a lie detector test after recalling his apparent encounter with alien life during the historic 1969 mission to the moon. Aldrin, 88, was a part of the test that also analyzed interviews from astronauts Al Worden, Edgar Mitchell and Gordon Cooper. Aldrin has always maintained he spotted a UFO on the way to the moon. 'There was something out there that was close enough to be observed, sort of L-shaped,' Aldrin, who is the second human to set foot on the moon, recalled. Last year, Apollo 15 pilot Al Worden, 86, told Good Morning Britain that he saw extra-terrestrials during his mission. In a 2009 interview, Mitchell, who was a part of the Apollo 14 mission, claimed he saw multiple UFOs. Cooper had previously described trying to chase a cluster of objects. According to the Daily Star, the tests revealed that Cooper and Mitchell believed they were telling the truth.